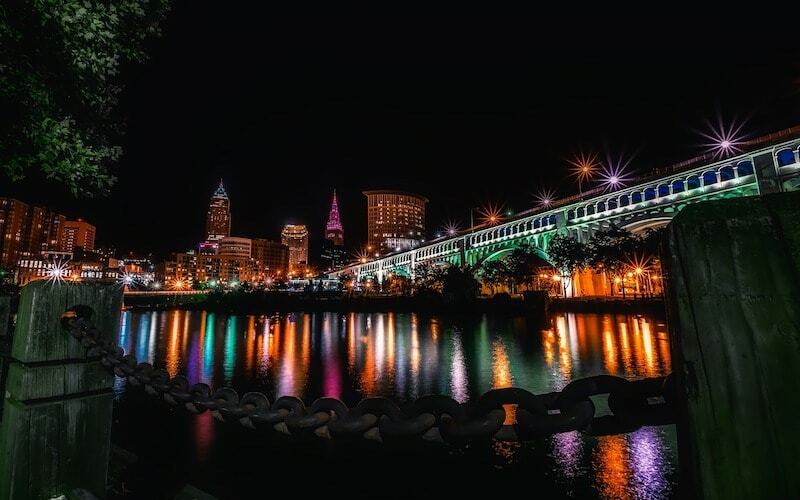 The City of Cleveland’s return to cultural, business, and economic prominence stands as one of the brightest municipal stories in a decade full of them. The fact it happened while the City’s longstanding backbone that helped build this nation, manufacturing and industry, suffered from the turn to automation only adds to the impressiveness of the feat. Some might say the Rock & Roll Hall of Fame and LeBron James’ ascension to NBA superstardom – and his return to the city in 2014 – fueled Cleveland’s rise from a hard bottom during the Great Recession. Those two marquee cultural icons certainly helped, but so did a concerted effort between the City, Cuyahoga County, Jobs Ohio, the establishment of a Plug and Play Tech Center locally, smart development of brownfields, and the re-zoning of old factories and empty commercial buildings into mixed-use shops and lofts. As a native, Ebersole has seen the good and bad in Cleveland. He was educated at Carnegie Mellon, then received his Juris Doctorate from Case Western Reserve, also a major player in the area’s resurgence. He rose through the ranks in Economic Development, becoming the full director in late 2017. The level of innovative thinking and action behind Cleveland’s decade-long rise stretches across different programs and different sociological layers. So many things have happened that the events almost look random. Incubators start up. Commercial real estate is rezoned. Workforce development expands to draw more older workers, factory workers, into the digital age. Businesses move in; others start on the spot. The Economic Development Department website’s URL – rethinkcleveland.org – says plenty. So does the slogan: “Built By Industry, Inspired By Innovation.” It presents no less than two dozen active initiatives, ranging from urban agriculture to tech training, startup and incubator support to rebuilding pure 21st century manufacturing capability. • Cleveland’s world-class health tech corridor continues to build off the renowned Cleveland Clinic. Combined with a variety of university hospitals, research centers and clinics, “you’re seeing a lot of innovation coming out of our medical facilities, which is drawing people from around the world,” Ebersole said. • Cleveland’s Neighborhood Retail Assistance Program has attracted people young and old, adding diversity and demographic range to formerly declining neighborhoods, thanks to the Industrial-Commercial Land Bank.